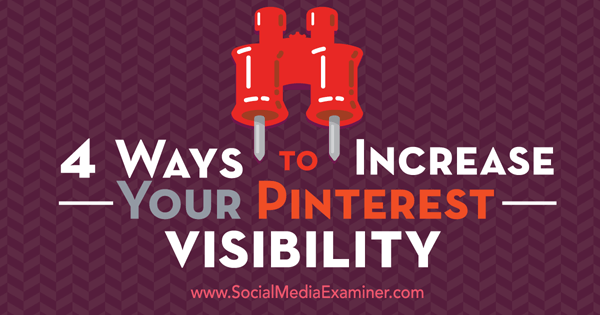 Do you want more visibility from your Pinterest marketing? Are you looking for ways to get your pins and boards seen by more people? There are some quick and easy tactics you can use to help more of the right people find and share your content on Pinterest. 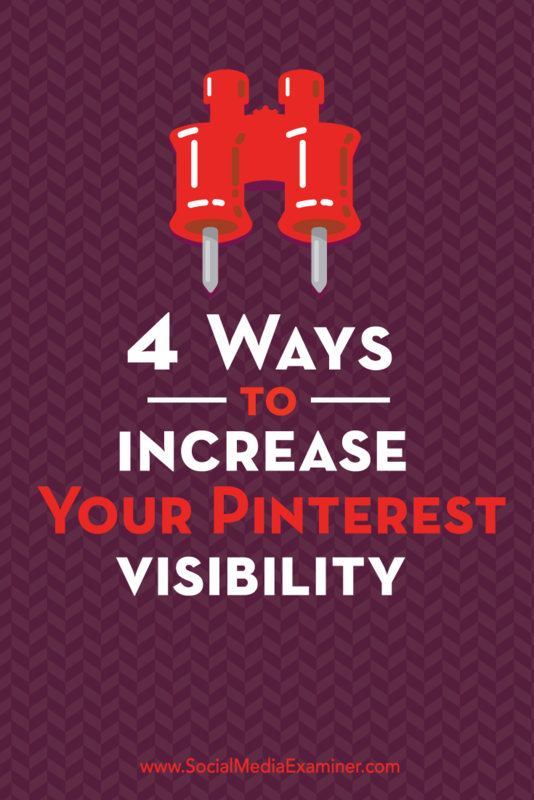 In this article you’ll discover how to increase the visibility of your content on Pinterest. Discover ways to increase your visibility on Pinterest. It’s important to approach each social media platform as a unique entity. Although many networks have similarities, Facebook is different from Twitter, Pinterest is different from Instagram, and so on. One big difference among social platforms is your audience. Pinterest has 100 million daily active users, with over 500 billion Pinterest pins. 80% of Pinterest’s users are female and 90% of all pins are created or shared by women. 13% of adult men who are online use Pinterest, with a 120% growth in male users in 2015. Millennials are using Pinterest as much as Instagram. 60% of Pinterest users are from the U.S. 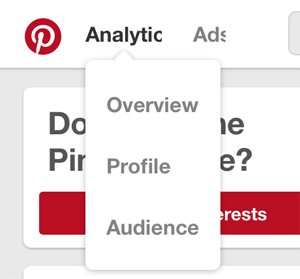 If you have a business account, you can get a picture of your unique audience demographics with Pinterest analytics. You can see whom you’re connecting (and not connecting) with. To access Pinterest analytics, click the Analytics tab in the top-left corner of the screen and select Audience. You can find your Pinterest analytics in the top-left end of the navigation bar. View the Demographics tab to see pertinent information about your audience, including where people are from, their gender and the languages they speak. 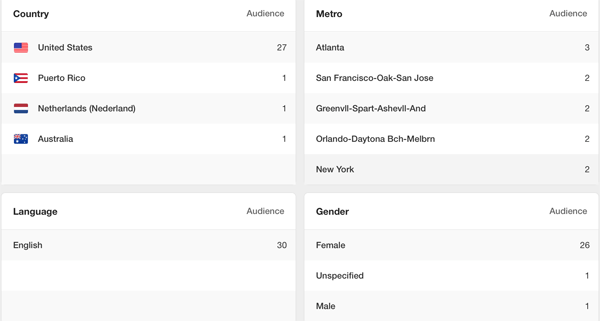 The demographics section of Pinterest analytics will give you valuable information about who your audience is and where they’re from. Once you have a good understanding of who your Pinterest audience is, you’ll be able to create relevant content for them. It’s important to find out what your specific audience’s interests are so you can better tailor your content to them. Check out your Pinterest analytics to see your best-performing pins and boards and discover their other interests. 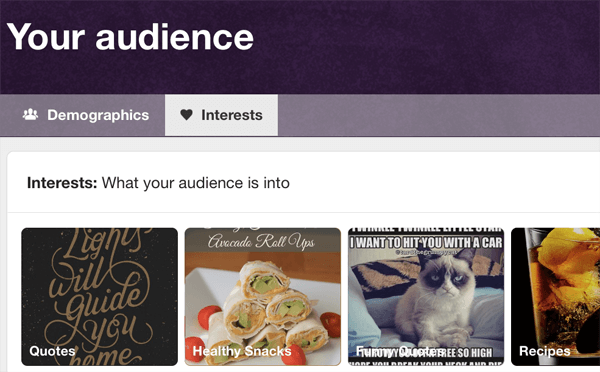 Choose Analytics > Profile to view engagement metrics for your Pinterest content. You’ll see your top pins and boards from the past 30 days and how many impressions, clicks, repins, likes and either pin type or numbers of pins on the board. Pinterest analytics reveal your top-performing pins and boards, as well as how users are engaging with them. This data provides insights into which pins and boards are resonating with your Pinterest audience. You can also review your analytics to see insights about the interests of your Pinterest audience. Choose Analytics > Audience and click the Interests tab to see images and labels describing common interests your audience members share. Some interests are generic, like Quotes, and others are more specific, like Casual Outfits. Knowing what other interests your audience members have can help you create content that’s more relevant to the audience you have on Pinterest, helping you find them quicker. The more you adapt your content to appeal to your target audience on Pinterest, the better you’ll be able to connect with them. Though Pinterest users will often scroll through their main feed or the feeds of selected topics (such Women’s Fashion, Cars and Motorcycles or Geek), they’ll also frequently use Pinterest as a search engine to find content they’re interested in. Because of this, it’s important to add relevant tags and keywords to your pins. Strategically place keywords in the descriptions of your pins and in your boards to help users find your content when they’re searching or browsing through feeds of a related category. 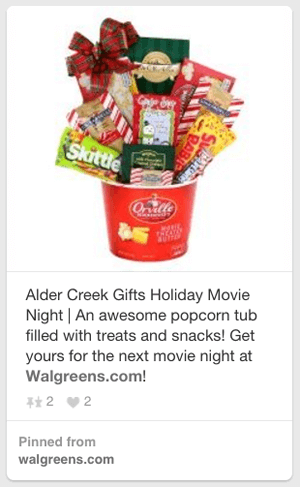 Walgreens has mastered the use of keywords, featuring their chosen keyword “movie night” in individual pins, the board description and the board title. 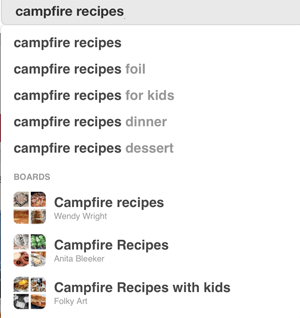 For example, if your keyword is “campfire recipes,” make sure you highlight it in your board description. Use keywords to make it easy for people to find your content on Pinterest. Though not as prevalent as on Instagram and Twitter, hashtags make a frequent appearance on Pinterest. They aren’t clickable, but they are searchable. According to research, over 80% of pins are repins. This means that if people who find your content like it, they’ll likely repin it and share it with their followers, giving your content even more exposure. Adding hashtags to your boards and pins increases the chances they’ll be found in search. To increase your Pinterest following and connect with your target audience, you’ll want to make it as easy as possible for users to pin content from your site. The best way to do that is to provide Pin It buttons. When users click on a Pin It button, a window pops up allowing them to create the pin and post it to Pinterest. It’s a simple and effective way to encourage pinning. Pinterest Follow Button: If you want to encourage users to follow you on Pinterest, this is a great tool to have. It’s a plugin that’s quick and easy to install. With one click, users can follow you on Pinterest. Pinterest Pinboard Widget: This widget lets you display thumbnails of your latest pins on your website. This can be useful to highlight recent pins and boost engagement. You can send your audience right to your Pinterest page, instead of just hoping they pin content from your site. Installing a pinboard widget is an effective way to drive traffic from your website to Pinterest. WordPress Pinterest Pin It Button: This tool comes in both Lite and Pro versions. The basic premise is that when the user hovers over an image, a Pin It button appears. If the user clicks the button, it automatically creates a pin. With either version, you can preselect the image users will pin (though users can change this and choose the image they want), and place Pin It buttons anywhere using shortcodes. After you install a Pin It button on your website, make sure you test the button. You’ll want to see where and how the tool creates the text descriptions for the pin. For example, the tool I chose uses the alternative text for the image. Since many pinners don’t change or add the description themselves, you can have a coherent, appealing and keyword-centric description preloaded. You’ll make it easier for people to find you by adding social sharing Pin It buttons to your site and using smart tags and keywords in your descriptions. What do you think? How have you found your target audience on Pinterest? Do you use any of these tactics? Share your thoughts, experience and knowledge in the comments below. Tips to increasing the visibility of your Pinterest content.